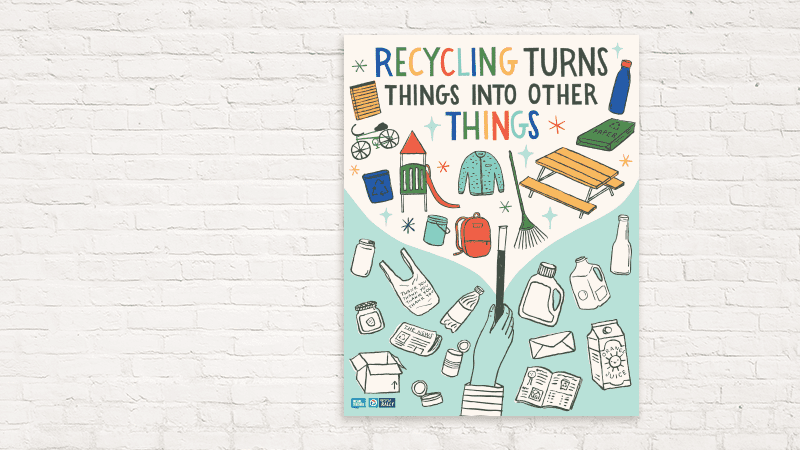 Use our free, printable recycling posters to encourage students to take care of the earth. 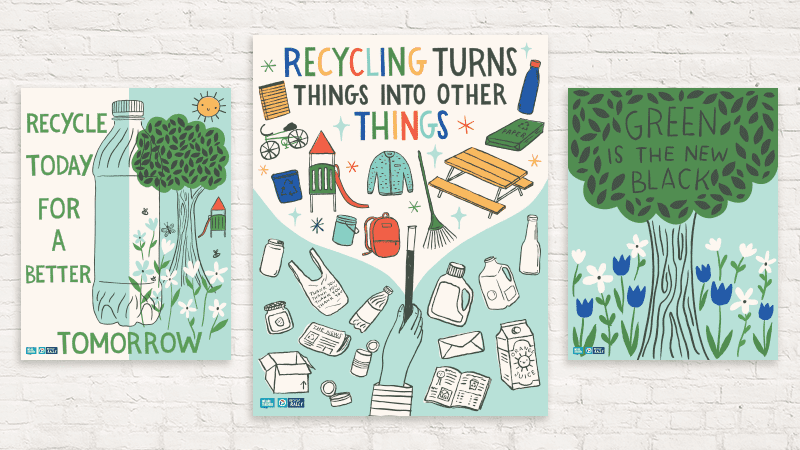 These four 8×11 mini-posters are great inspirational tools to remind students to not only recycle but to aspire to be green leaders in their school and community! 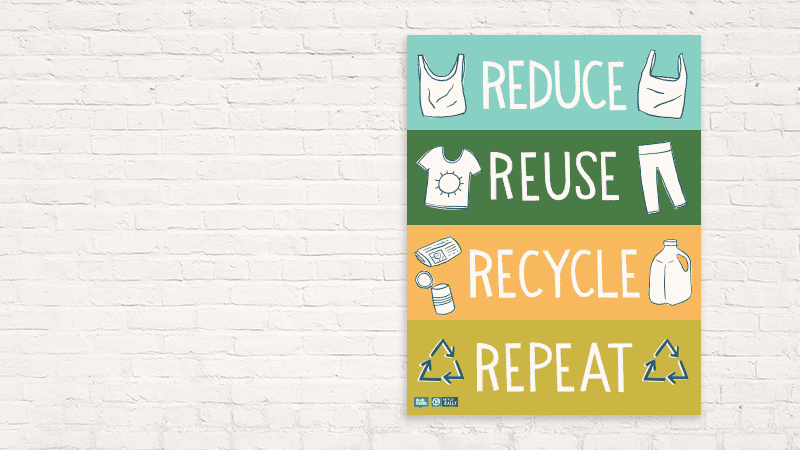 Remember, it’s simple acts that make a BIG impact! 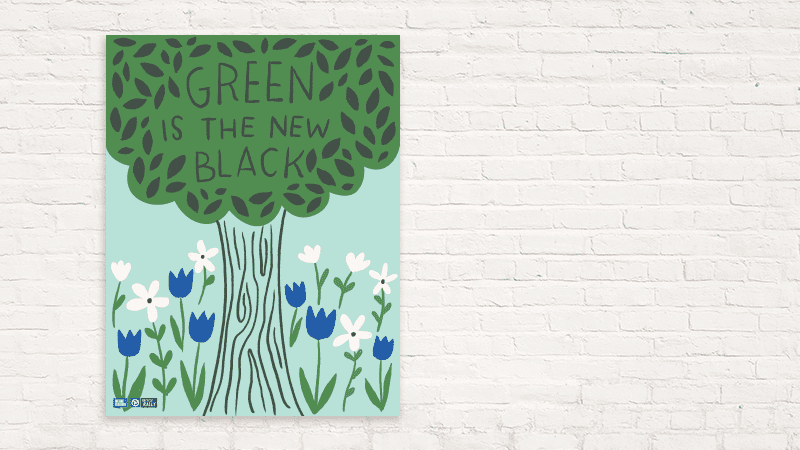 It’s important to stay on trend, don’t you know? Now this is a cycle I can get behind. 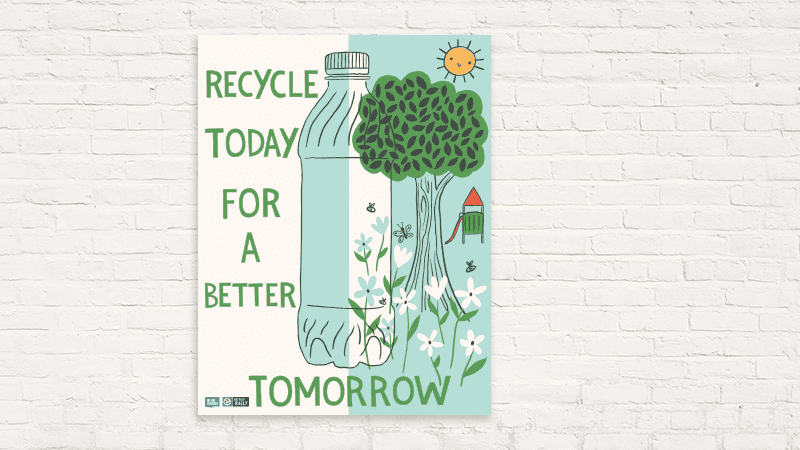 Even one bottle makes a difference.